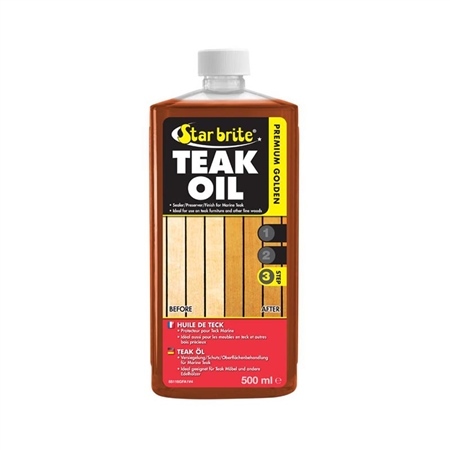 Premium Golden Teak Oil from Starbrite provides extra long lasting protection for teak whilst giving it a natural warm golden colour. Contains ultraviolet absorbers to resist weathering. Because Starbrite Teak Oil lasts 4 to 6 times longer than standard teak oils your can be rest assured the best of quality.